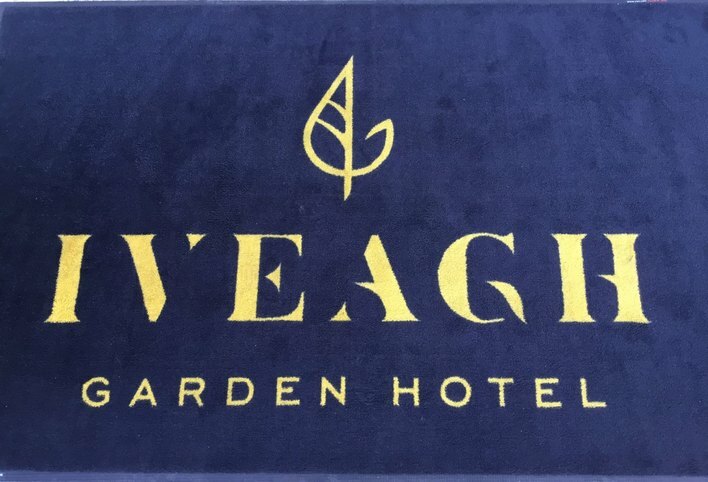 Phonelink are delighted to announce that the Iveagh Garden Hotel are the winners of the April draw for an LG TV. In April, Phonelink ran a draw for a 43" Ultra HD LG TV for all new customers who recently bought telephone systems from us in March. 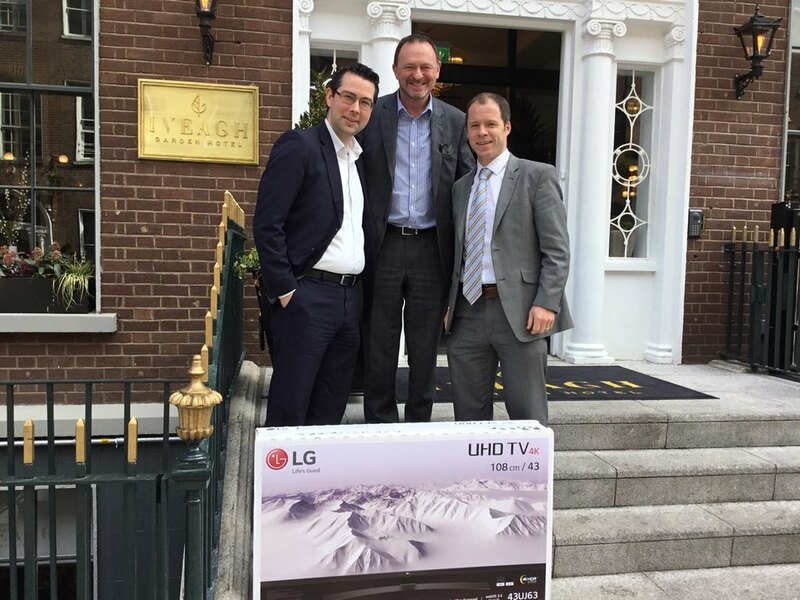 We were delighted to present the LG TV to Mr. Steven Haynes, Financial Controller of the newly opened Iveagh Garden Hotel in Harcourt Street. 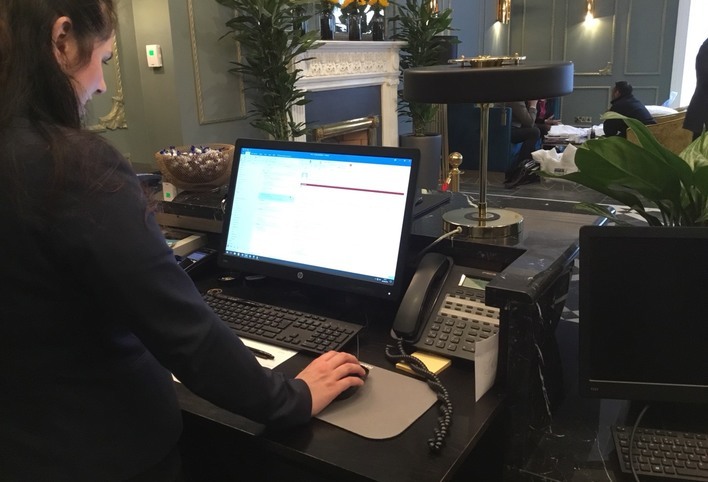 Phonelink specialise in Hotel focused telephone systems and when the owner of the Iveagh Garden Hotel looked at all available systems that met their needs, Phonelink were the clear winner. The Ericsson LG eMG800 Hybrid telephone system was installed with 20 administration telephone sets and 160 bedroom telephones. 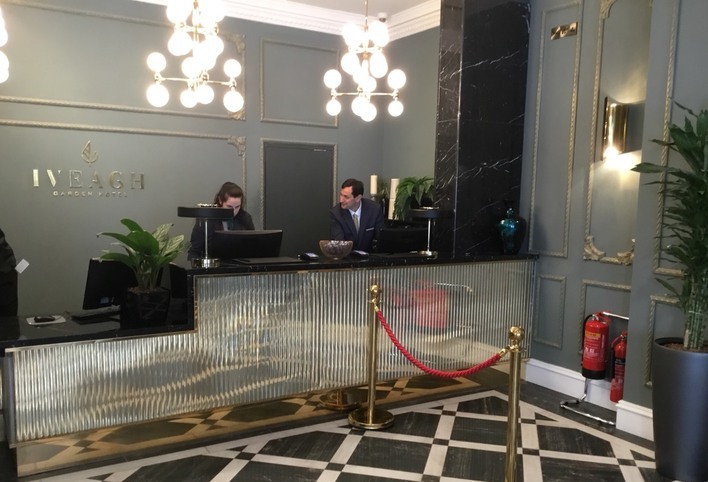 This feature rich system fits exactly into the specification for the Iveagh Garden Hotel. 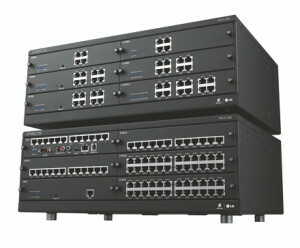 The Ericsson LG eMG800 Hybrid Telephone System.